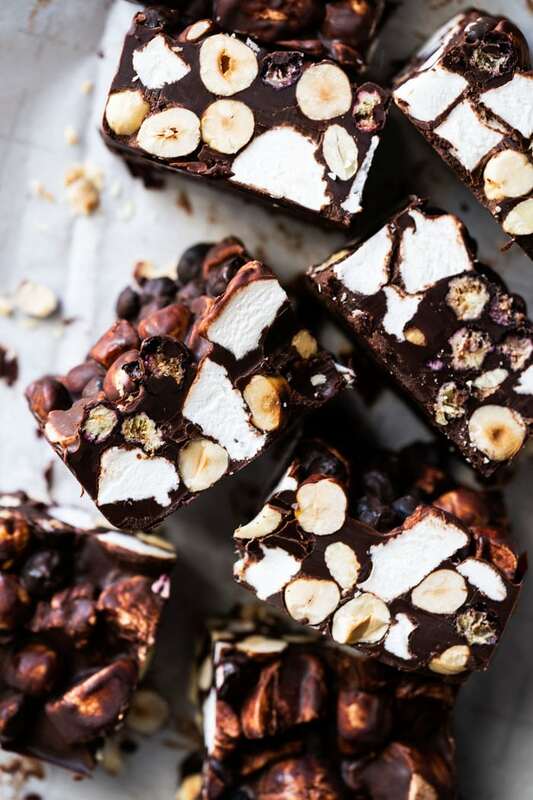 This paleo and keto rocky road, in its no-bake glory, is ridiculously easy to whip up! Plus, its packed with nutrients and healthy fats! 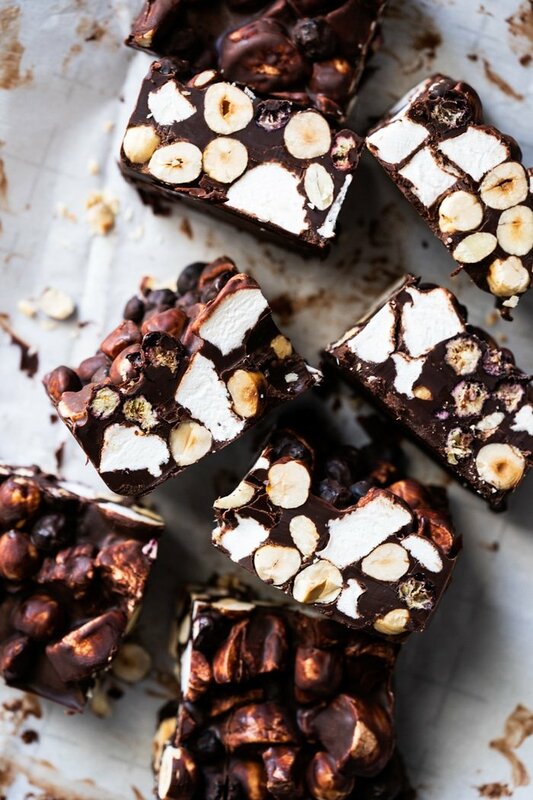 This rocky road has our keto marshmallows as the star ingredient (though see ingredients section for a store-bought variety!). 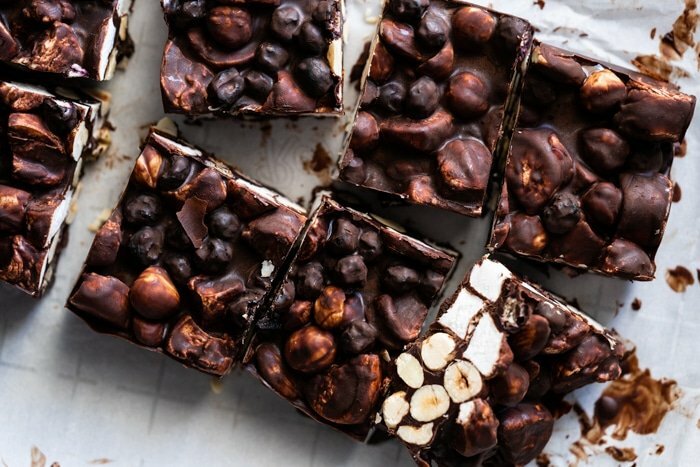 I mean, there are many roads to rocky road heaven… but marshmallows (and chocolate!) are non-negotiable! And it turns out that, unlike their sugar counterparts loaded with additives and corn syrup, these sugar-free marshmallows are not too bad health-wise at all. Fact is, if you use a good quality gelatin (think grass-fed etc), you can even think of these guys as pure collagen bites. So load up on good quality ingredients to pack this keto sweet treat with nutrients and healthy fats! 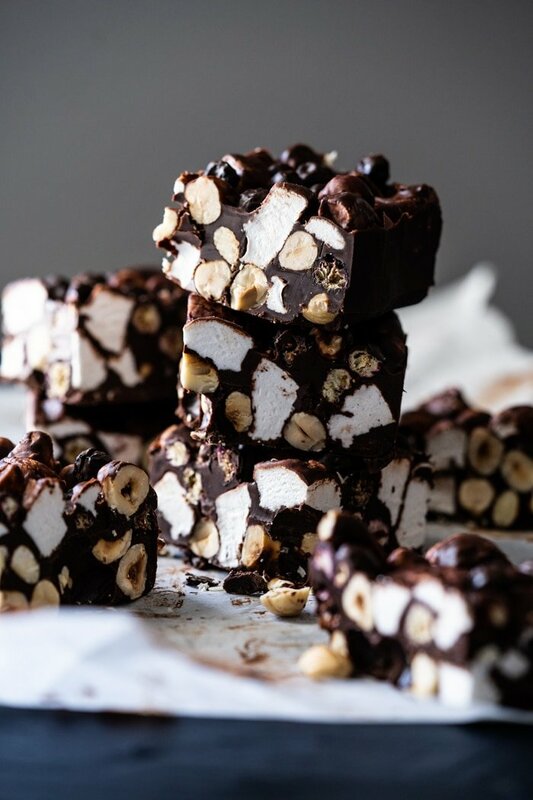 Rocky road is truly wonderful in that you can pretty much do what suits your taste buds’ desires (and turns out it varies a bit from country to country)! From the UK version with digestive biscuits (i.e. cookie crumbs!) to the Aussie version with dried fruit… it’s really all about quality ingredients merging into a beautiful symphony. The keto marshmallows are our very own (extra fluffy!) recipe. Choose quality ingredients (such as this grass fed gelatin) for a top notch collagen packed treat! And don’t fret, they might seem intimidating but this keto version is ridiculously easy to whip up. And you prefer to not make your own keto marshmallows, you can buy these sugar free marshmallows (just keep in mind they’re not the cleanest and have Maltitol… but I know some of you peeps like them). For the sugar-free chocolate, any chocolate chips (or bar!) will do really. My one advice is that you love its taste solo (so avoid the 100% unsweetened bars)! I love Lily’s dark chocolate chips (they’re sugar free and keto), but still taste like the real deal. (Grass-fed!) butter… or ghee/coconut oil/nut butter! You are eating the butter raw, so going organic and grass-fed really is advisable. Because, aside from the taste being 1,34049 times better, grass-fed butter has a completely different nutritional profile to regular butter. It is loaded with Vitamin-K2 (which de-calcifies your arteries), anti-inflammatory fatty acid called butyrate, among many other perks. Oh, and note that I like to do a mix of salted and unsalted for a more complex flavor kick (remember salt is chocolate’s bff)! For the nuts I like to do a mix of hazelnuts and almonds. Just don’t forget to give them a good toast before, as it’ll take your rocky road from good to supreme! Dried berries are totally optional, but they add a wonderful tang that livens up the mix and I cannot recommend them enough! I love (loooove!) adding a handful of these freeze dried blueberries! 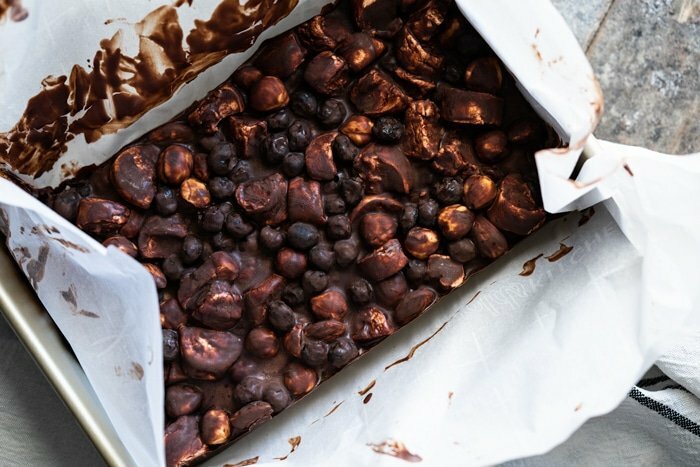 Not much to it guys, as rocky road might just be one of the easiest candy out there to whip up! All you need to do is toast the nuts (non negotiable in my book! ), melt the chocolate with the butter, allow it to cool (so you don’t melt your marshmallows! ), mix it all together and allow it to set in the fridge overnight. Maybe the one thing to consider is how thick you want it. I went for an 8×6″ mold… but because of how rich rocky road is, it’ll do better in an 8×8″. But feel free to do your own thing, its not a biggie! Whip up a batch of our keto marshmallows (you can always do half the batch, but leftovers are always a good idea in my book! ), or buy a sugar free version (see notes!). The one difference is that you'll want to spread the batter onto a baking sheet so it's roughly 3/5-1" thick. Allow to set for 5 hours or overnight. Slice into bite-sized pieces. Toast the hazelnuts and almonds in a dry skillet or pan over medium/low heat until golden and fragrant, tossing them about every so often (about 5 minutes). Set aside to cool while you prepare the rest. Line an 8x8" baking pan with parchment paper, set aside. Melt the chocolate chips and butter in a water bath, stirring constantly until smooth. Remove from heat and allow to come to room temperature (important so as to not melt your marshmallows!). 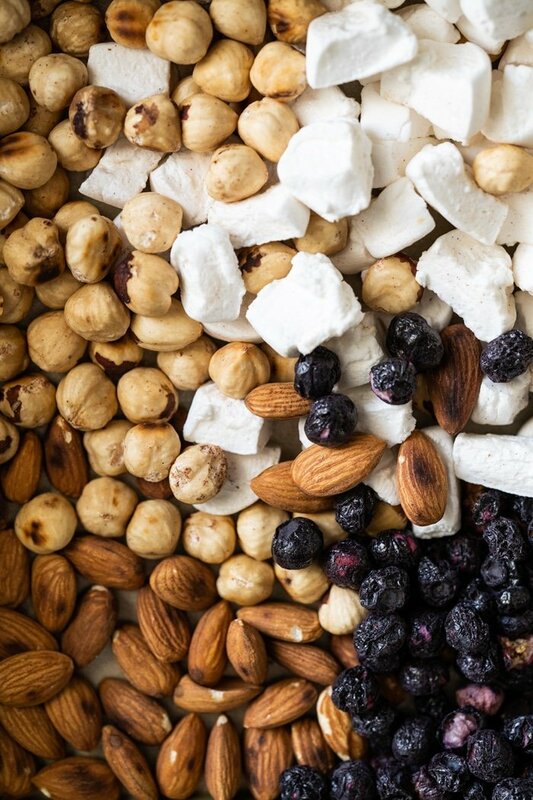 Add the nuts, marshmallows and blueberries (optional, but highly suggested!) into the chocolate and stir to coat. 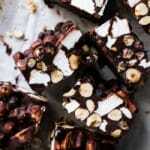 Press rocky road mix onto the prepared baking dish, cover and refrigerate until set. Slice into 16 pieces, store leftovers in the fridge for about a week and in the freezer for 3 months. *If you prefer not to make your own keto marshmallows (they're easy guys! ), you can buy these sugar free marshmallows (just keep in mind they're not the cleanest and have Maltitol... but I know some of you peeps like them). **I like to do a mix of salted and unsalted (just 50/50) for a more complex flavor kick (remember salt is chocolate's bff)! And if paleo or dairy free, feel free to sub with ghee, coconut oil or a nut butter (I looove peanut butter fudge also!). There are a few things you guys need to consider for the nutrition facts, and mainly it's the chocolate used). Our facts were estimated using Lily's and assuming a yield of 16. Sounds good. Think I will make it for my great granddaughter. This sounds so good! I’ve converted your coffee ice cream to rocky road using the marshmallow recipe, pistachios (just to be extra lol), chopped Lily’s baking bar, and keto chocolate cookie crumbles. It was INSANELY good! OK – I just got the recipe for this one in my email and when the photo loaded my jaw dropped. Look amazing! Yes, I will make it. I’ve made several of your recipes and ALL have been delicious. Your talents are incredible. 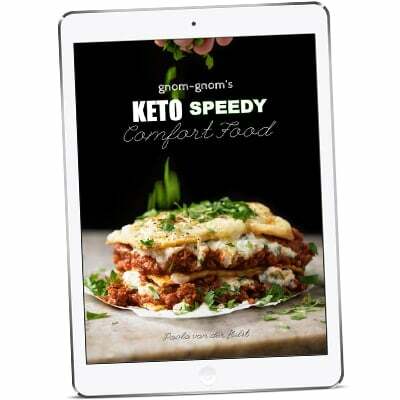 I haven’t bought the digital cookbook because I really, really, love collecting and using print cookbooks, but rest assured, I’ll wait for it, lol! Lol you’re so sweet Sherhonda!! Hope you love this one too, its soooo yum ;)!! You guys should look at Know Better Foods Marshmallows. They are pretty darn close to the real thing and use allulose. 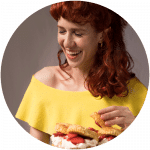 I’m a T1 diabetic and can’t tolerate any sweeteners except Stevia, Erythritol and Allulose. The rest jack my blood sugars up. ps I am in no way affiliated with Know Better Foods, just a super happy customer. Kevin thanks so much for the tip, I didn’t know Know was doing marshmallows! 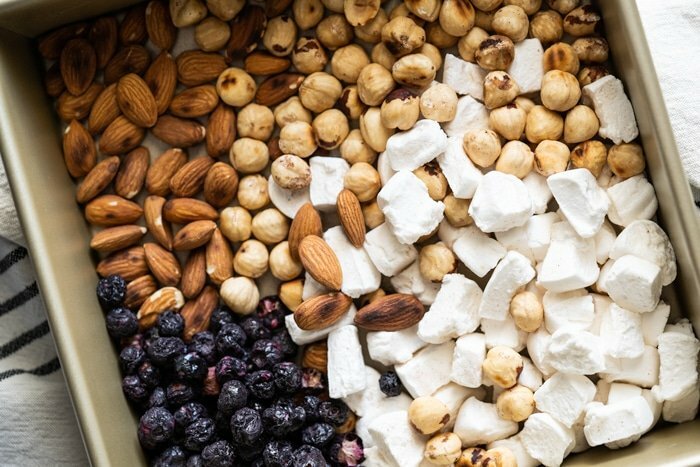 Do you know the ingredients for the sugar free marshmallows linked on amazon? You said maltitol but it didn’t have the ingredients? So I’m not a fan of Maltitol, does’t agree with me! It’s more of a ‘dirty keto’ ingredient, and it can raise the blood sugar in some peeps (there seem to be a lot of debates on this).